Historically the local TV station-viewer relationship, based on a concept of hometown television, has been remarkably close and trusting. Viewers rely on their stations for daily news, in-depth sports coverage, weather predictions, and emergency reporting, along with deeper dives into local culture, history, and community issues. The personalities who speak to us through local TV really do feel like extended family members. This trust connection has been confirmed in Gallup surveys, in demand for local TV as part of over-the-top (OTT) skinny bundles, in community event and charity participation, and through “first-informer” or even “first-responder” status during storms and other emergencies. Even Twitter uses local TV news feeds around school shootings to counter false information. Social media excels at connecting friends and family around common interests and life events. What TV brings is fact-checked professional reporting. Without local TV and newspaper journalism, facts can become speculation, information can become opinions, and advice from local leaders can be twisted into dangerous rumors. 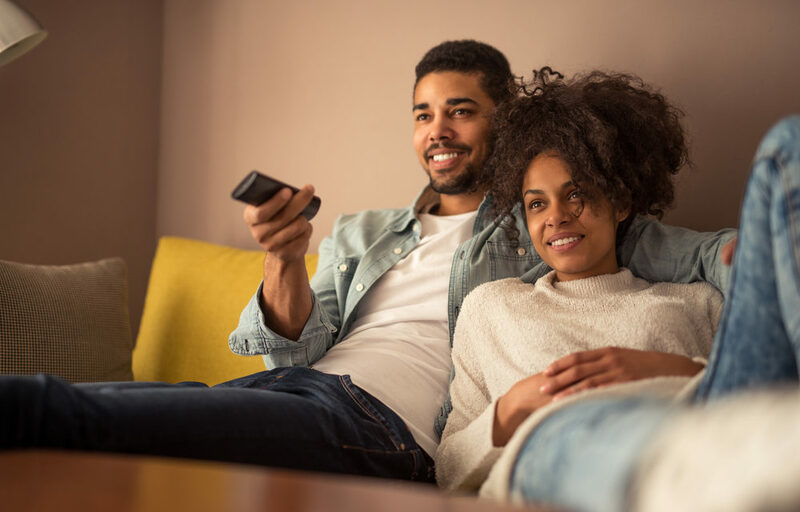 Thanks to emerging technologies—including smart TVs, ACR, and ATSC 3.0—local broadcasters and their advertisers will have two-way internet connectivity for the first time. By 2020, it’s estimated that about 75 percent of all U.S. TVs will be smart TVs. This presents an opportunity for back-and-forth, real-time relationship growth. Imagine local-station viewers using audio-controlled remotes to get involved in unprecedented ways—having a literal voice to share opinions, preferences, concerns, and choices. T/V (Television/Video) viewers, particularly younger ones, are turning from MVPDs to OTT content via their mobile devices, smart TVs, and computer screens. In the future, local TV station programming will be even more accessible through emerging technologies; people will be able to access direct broadcast signals on connected mobile devices. The most important element in any relationship is trust. The key difference between local TV and the many other content providers out there is trust and relevancy. As new technologies pave the way for greater viewer access and advertiser demand, the local TV station-viewer asset of trust will win the day. Timely, objective content—transparently separated from the advertising, political, and editorial interests—is key. How local stations employ addressable targeting and ad personalization using viewer data will determine future trust levels. They should avoid the temptation to grab short-term profits and risk becoming another “creepy content provider” that stalks viewers on all devices. In the end, viewers must clearly understand and agree to data usage and know how it affects their privacy.